A native of Copenhagen, Denmark, Berthelsen was six years old when his family immigrated to the United States. 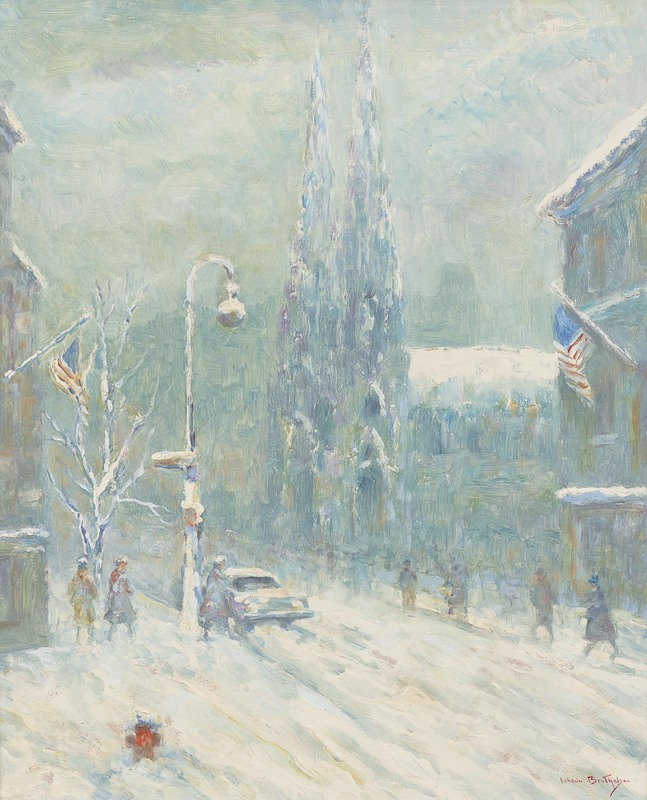 When he was 18, Berthelsen studied music and voice at the Chicago Musical College. 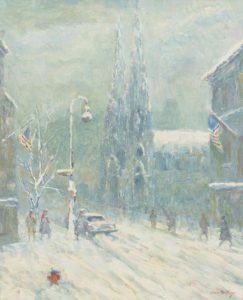 Following his graduation, he toured the United States and Canada as lead baritone for the Grand Opera Company, after which he taught voice – first at his alma mater and then at the Indianapolis Conservatory of Music. 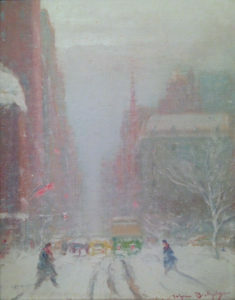 In 1920, Berthelsen opened a private studio in New York, where he gave voice lessons. 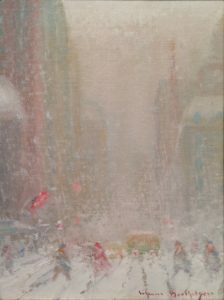 Although he devoted most of his time to music, Berthelsen painted – at first for his own pleasure and, after 1932, on a full-time basis. His work was judged “poetic” by contemporary critics: perhaps the intrinsic poetry of his musical experience emerges in his paintings. 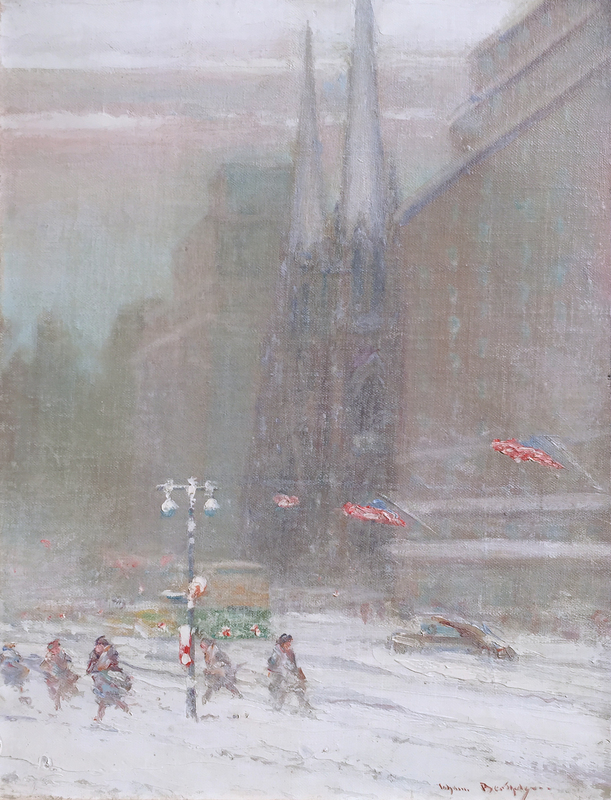 Johann Berthelsen’s paintings of New York City are exquisitely rendered. The combination of bright colors with flickering snowfall and the city’s massive architecture make his work tremendously successful examples of the genre. 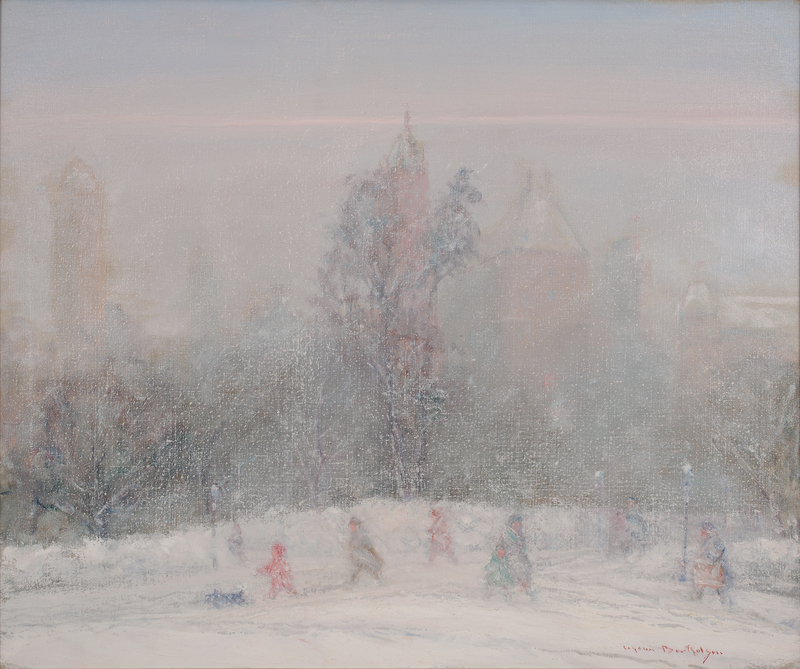 After first having achieved success as a pastelist, Berthelsen turned his attention to oils. 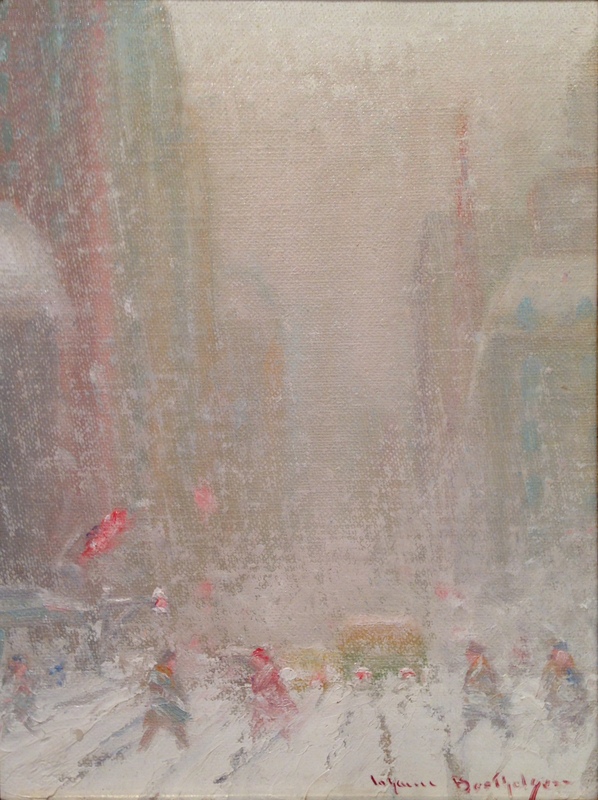 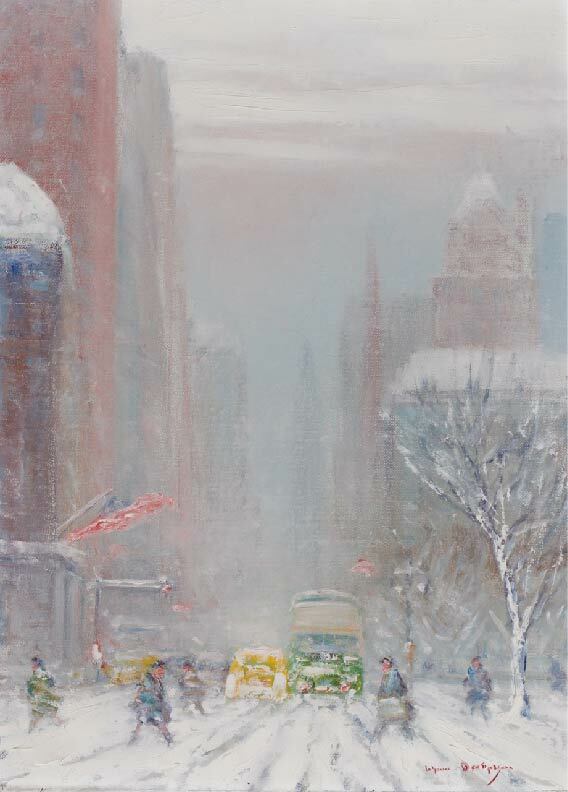 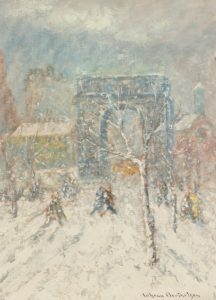 With firm drawing and a heavy impasto, Berthelsen rendered numerous city and park snow scenes. Working with small canvases, he found inspiration in Central Park in Particular. 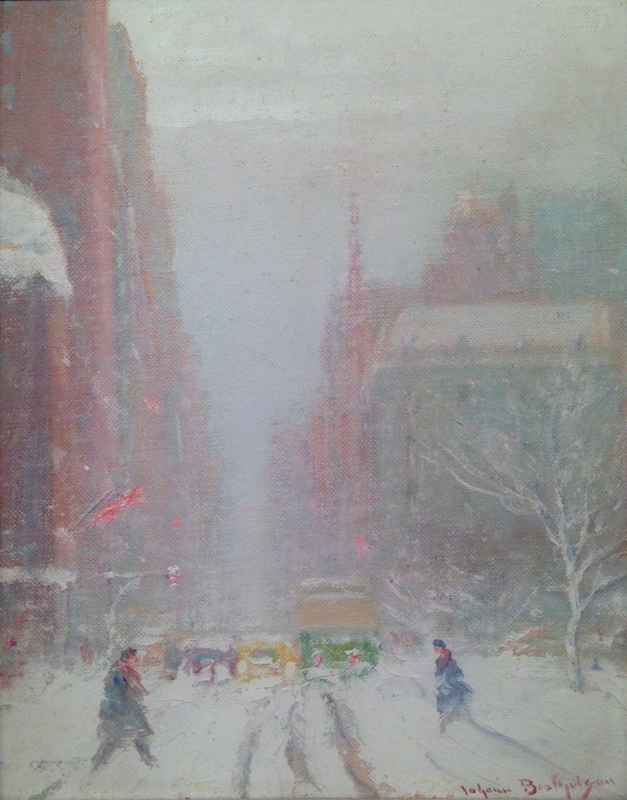 Reputedly, Berthelsen was a friend of Guy Wiggins, and their snow scenes have much in common.